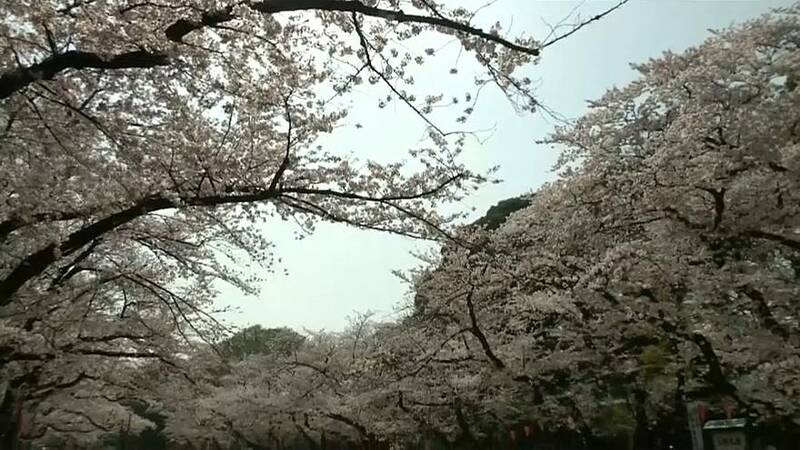 Tens of thousands of locals packed Ueno park on Thursday as Tokyo's cherry blossom came into full bloom nearly nine days earlier than usual thanks to warmer weather. Ueno Park estimates 85,000 people a day visit the 540,500 square meter park (133 acres), one of Japan's most popular cherry blossom viewing spots, now ablaze with the pink and white flowers and petals fluttering in the winds. In Japan, the blooming of the cherry blossom generally coincides with the first day of school, and start of work for the year's new recruits in companies as the new school and fiscal year kicks off on April 1. Traditionally it has always been the first job of new recruits to secure space under the cherry blossoms for the annual company "hanami (pronounce ha-na-mi)" or "cherry blossom viewing" in Japanese.